Former Mercedes-Benz Ponton salesman Hartwig Mueller writes, "The earlier pedal was nothing but a small (half-size maximum) iron-square with sharp corners. That is the reason it permanently ruined our shoe soles." Photo 1 was taken from a Type 180b pamphlet and illustrates the pedal detail quite well. Note the metal accelerator pedal has a thin rubber edge. Directly after the introduction of the new softer pedal, Hartwig and his colleagues, "started to believe once again that there was a God somewhere above the Stuttgart region." 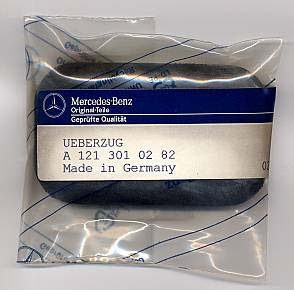 Photo 2 shows the full rubber accelerator pedal cover as it arrived from Germany in December, 2003. When I ordered the accelerator pedal pad for my 1957 Type W121 190 sedan, it took about ten weeks for it to arrive from Germany. The part they sent was a full rubber pad as shown in Photo 2 and Photo 3. The part number is 121 301 02 82. Apparently, the earlier rubber edge had been superseded by the full size pad. Top and bottom view of part 121 301 02 82. 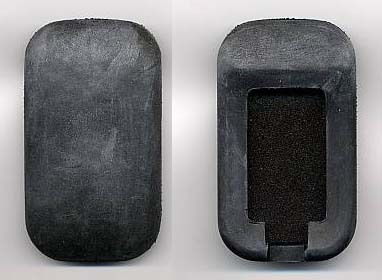 There is a foam insert in the bottom of the pad. One possible exception to this are the Pontons exported for the South African market. New rubber pads for the brake and clutch pedals are also readily available from the standard parts vendors and they still include the cross hatch pattern as seen in the Photo 1 above. The part number for both the brake and clutch pedal pads is 319 292 00 82. These brake and clutch pedal pads are used on all models in the Ponton range. 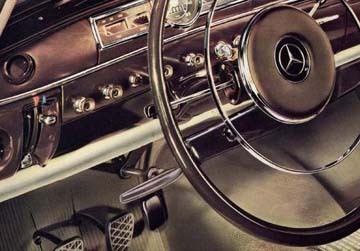 The Type W121 190SL roadster-cabriolet is the only model in the Ponton range that is thought to have originally had a full rubber cover on the accelerator pedal. With thanks to the members of the International Ponton Owners Group (IPOG). Thanks also to Hartwig Mueller for providing the Type 180b pamphlet illustration (December 30, 2002).